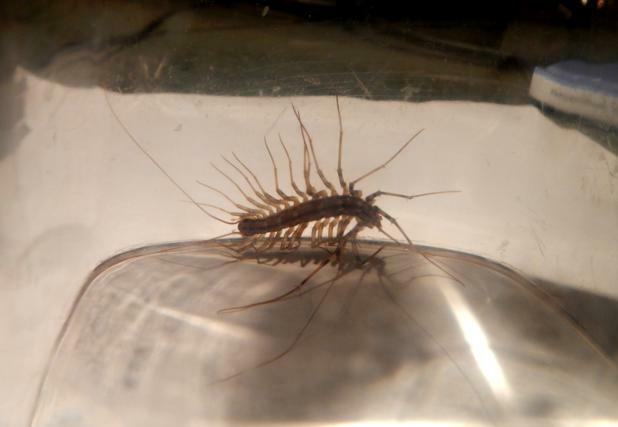 I live in a basement, which means I have the pleasure of putting up with certain arthropoda tenants. The spiders and I have struck a deal: I leave them alone as long as they stay out of my bed, the shower (but only while I’m in it, free reign rest of the time) and the dresser drawers. Unfortunately, sometimes they break our treaty, and so have to deal with the consequences, which involves meeting their fates in either the flushing-whirlpool-of-death ( the toilet), or in the giant-tissue-of-smashedness (self-explanatory). In circumstances of extremely blatant disregard of our pact, both methods have been deployed. The arachnids don’t really bother me all that much, although I do wonder what exactly their food supply is. I hope there’s not too much down there in terms of spider food… which is somewhat mean to the spiders I guess, but I’m sorry, I sleep there. I’m just weird like that, I prefer to share my bed with mammals only (like cats that knead me in the neck and little dogs that snore). I caught him running across the carpet, heading towards the no-fly/crawl zones of the dresser and the bed, and was forced to take defensive action. So of course I had to trap it under a clear glass, bring it upstairs, and take pictures (isn’t that what everyone does?). This guy’s too big to smash (a couple inches long), so he’s going outside in the cold once I’m done examining him. Which is probably more cruel, now that I think about it, than just smashing and meeting a quick end. Outside, he’ll maybe freeze (unless he makes it back into the house before the cold causes him to stop moving, which is entirely possible). Or, maybe he’ll be eaten by something else, in which case I’m contributing to the natural cycle of the world (or as much of the natural cycle lives in the backyard of a house in the city). Hopefully he’ll make a nice meal for some critter. I figure throwing him outside at least gives him a fighting chance (of finding his way into the neighbor’s house). Anyway, you’re probably wondering what this is: and I shall tell you. 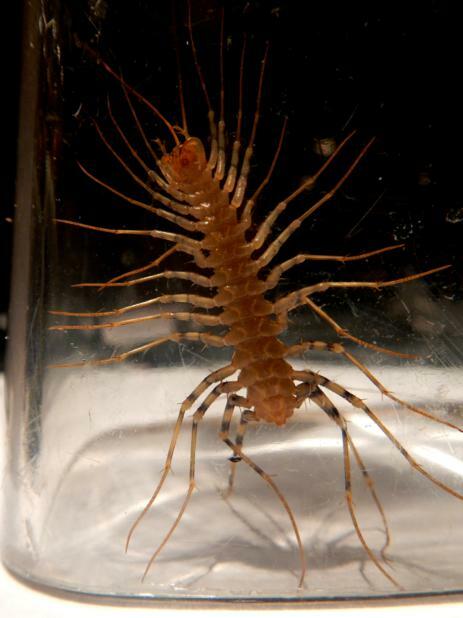 This is a house centipede. It has 15 pairs of legs, one pair per body segment (I counted). Now, according to the Pennsylvania State University website I looked up, the hind legs of females are twice the length of the body, which leads me to conclude that this is a dude, (though think I may be wrong). Those back legs look to be maybe the length of his body, but I’m not about to get in there with a ruler. Mostly because I don’t have one. Therefore, I named him Ramon (but it could be Ramona). Ramon can do tricks, and stand on his hind legs. Wave hello to the nice people Ramon! All centipedes are venomous, though most don’t bite people, and if they do it only hurts a little bit. Or so I hear. 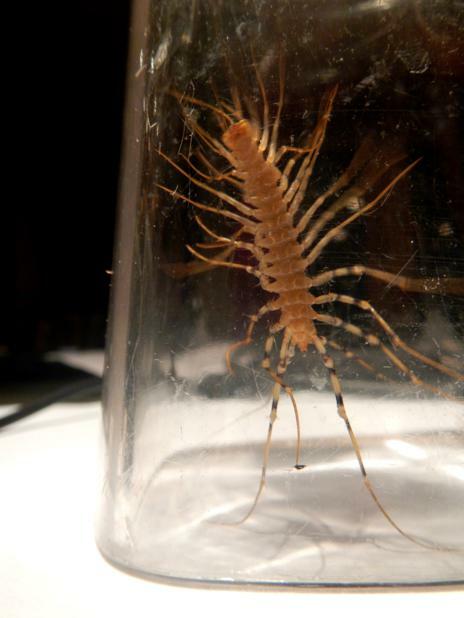 House centipedes are believed to be from the Mediterranean region, and then somehow got to Mexico and the southern U.S. and spread from there. Talented little buggers. (Though it should be noted that they are not in fact ‘bugs’. True bugs are insects of the order Hemiptera, which are aphids, cicadas, shield bugs and 50,000 to 80,000 other species. It should also be noted that most people find it annoying when you correct them about the difference between ‘bugs’ and insects– “not all insects are bugs, but all bugs are insects.” This is especially true when you follow it up with detailed descriptions of your Entomology class experiment involving opossum carcasses, species succession, and counting maggots– then they usually start gagging and wondering how fast they can change the subject. That class was awesome, though a bit smelly at times. Dr. Carreno, I want you to know that I considered further study in entomology, but birds won out by just that much over beetles). 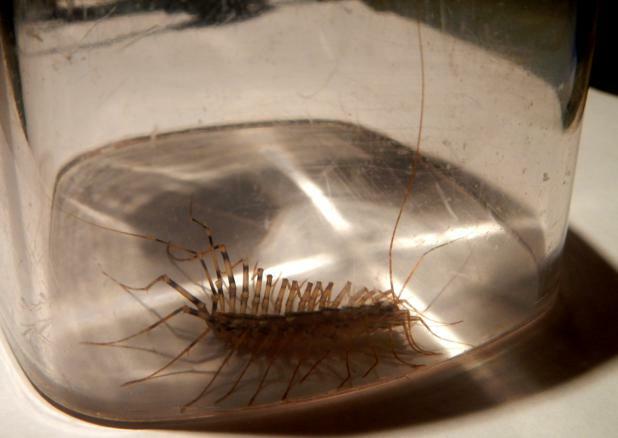 “Because of their secretive nature, scary appearance and darting motions, homeowners typically fear the house centipede. In 1902, C.L. Marlatt, an entomologist with the United States Department of Agriculture writes in Circular #48 – The House Centipede: ‘It may often be seen darting across floors with very great speed, occasionally stopping suddenly and remaining absolutely motionless, presently to resume its rapid movements, often darting directly at inmates of the house, particularly women, evidently with a desire to conceal itself beneath their dresses, and thus creating much consternation.’ Undoubtedly, the current favor of blue jeans as a preferred article of clothing has not appreciably reduced the angst felt by the household “inmates” when a centipede is seen scurrying across the basement floor.” (Penn State Entomology website, House Centipede article). Indeed, the consternation of the household inmate was not reduced by the fact that said inmate was indeed wearing pants.